WESMAR fishing sonar solves the tough challenge of seeing fish close to the surface and close to the bottom. 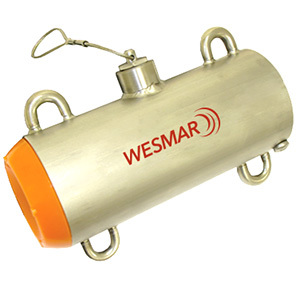 The WESMAR CS20 catch sensors indicate the fill rate of the trawl, alerting you when the codend is full. These lightweight, high-frequency sensors are factory programmed to operate with any WESMAR trawl sonar or with other trawl sonars. WESMAR's catch sensors transmit an initial signal five times, five seconds apart, alerting the wheelhouse instantly. After these initial tranmissions, the sensor will transmit every 60 seconds to save battery life. When a catch sensor is triggered, an audio alarm in the wheelhouse alerts the captain with the number of audio signals corresponding to the catch sensor number. WESMAR's catch sensors slip easily in and out of the carrier for charging, eliminating repeated setups. Whether fishing or not, the sensors are on. When the battery voltage drops below 12 volts, the batteries are disconnected from the circuit. The batteries are then held in a conditioning state for storage or next charge. Because there is no saltwater switch, the batteries are at peak perfect condition. WESMAR CS20's have a battery life of 3-6 weeks. We recommend charging every three weeks. CS20 is completely sealed, leak-proof, and mounted in a durable stainless steel carrier. 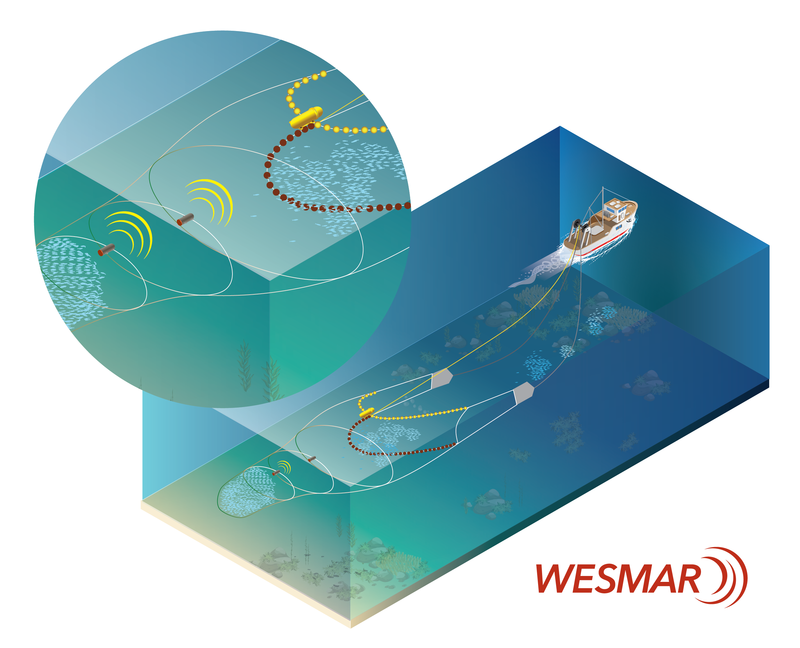 Up to 6 sensors can be operated with WESMAR trawl sonars. Up to 4 sensors can be operated with other brands of trawl sonar. Identity numbers are embossed on the front of each sensor. Catch sensors are installed on the codend with the numbered end pointing toward the headrope unit. No programming required, easy installation.